Learn to recognize the signs of a banana allergy in babies and how to deal with this. With enough information, you can safely identify and avoid allergies. With a food allergy, the immune system acts hypersensitive to one of the proteins within a particular food. In the case of a banana allergy in babies, the body attacks the food as soon as it contacts the digestive system. The body sends white blood cells with the goal of killing the allergens and defending the body. This manifests itself in vomiting, diarrhea, a rash, or in extreme cases, anaphylaxis. 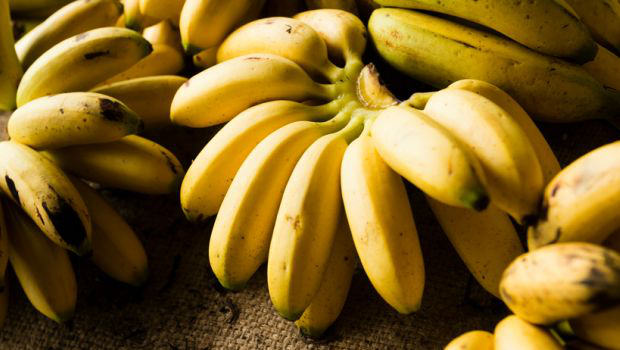 Learn to watch for signs of an allergy to bananas to prevent serious health consequences. When you give your baby bananas for the first time, always pay attention to potential signs and symptoms of allergies. Remember that they may take just minutes or hours to develop. The most obvious signs of a banana allergy tend to be those affecting the skin. Common symptoms of an allergic reaction include reddish bumps, hives, an itching sensation, swollen face, inflammation of the tongue or mouth, and eczema. Some gastrointestinal symptoms of a banana allergy, like stomach pain and nausea, are not obvious with a baby as they cannot communicate with you other than crying. You may notice other signs of an allergy, however, such as gas, diarrhea, vomiting, or loose bowels. You should also be on the lookout for symptoms related to your baby’s respiratory tract. These can include moodiness, a tight feeling in the chest, shortness of breath, a stuffy nose, wheezing, a runny nose, a cough, and fainting. If your baby experiences any of the above symptoms while eating or right after eating a banana, stop right away and talk to your baby’s doctor. Because your child may take minutes to hours or longer to show signs of a banana allergy, you should always follow the wait rule. This rule says that you should wait a minimum of three days after introducing a new food (such as a banana) to your child. During this time, watch out for signs of an allergy. This way, you will not be left to wonder which food your baby has an allergic reaction to. It will also reduce the tests your baby’s doctor needs to conduct to determine the allergy. Immediately following the diagnosis of an allergy to bananas, ensure you take extra care when feeding your child, and anyone else who feeds your baby is aware of the allergy. In the case of a very slight allergic reaction, your doctor may suggest feeding your baby smaller pieces of the fruit so he can still get the nutrients. Many babies also do better with cooked bananas than raw ones, so your doctor may suggest trying small portions of cooked bananas. You can also opt for other approved first foods for your baby, such as steamed carrots. If your baby experienced a severe reaction, with symptoms like facial or tongue swelling or cardiovascular issues, then take extra care to ensure all food your baby eats has had no contact with bananas. To some extent, you can work to avoid a banana allergy or other allergies in babies, but most advice will have you work to identify allergies early, before they do damage. The most important rule is to introduce new foods gradually, as in the wait rule mentioned above. If you introduce too many foods at once and he has an allergic reaction, it can be difficult to figure out which item caused it. After all, if you give your baby four new foods in a single day and he shows an allergic reaction, there is no way to know which food caused the allergy without further testing. You do not need to worry about which foods you choose to introduce or the order you do so in. The most important thing is to offer foods that are well-balanced and healthy for your baby. Ideally, wait at least three to five days between introducing new foods. There is no need to get rid of any additional foods your baby already enjoys at that time. Since your child hasn’t had an allergic reaction to them, you can assume they are safe. There is no hard and fast rule for what food a child will be allergic too, but some allergies are more common than others. The most frequent food allergies are milk, eggs, peanuts, fish, tree nuts like almonds or walnuts, shellfish, wheat, and soy. These foods/food groups possibly cause as much as 90 percent of all allergic reactions. Because of this, some parents choose to wait until their child is older to introduce the foods. Some experts suggest not giving your child peanuts until age three, although more recent research is conflicting in this respect. Even so, there are over 160 allergenic foods and some foods might come with more severe reactions than others. Remember that recent research says you do not need to avoid these foods entirely; just pay attention and be sure to introduce them one at a time. If you are concerned about the possibility of allergies in your baby, talk to his doctor. He may also vary suggestions as to when to try various foods if there is a family history of a banana allergy or allergy to another food group. The above symptoms of a banana allergy also apply for other types of allergies. If you notice any signs of a severe reaction, such as wheezing or trouble breathing, severe vomiting, severe diarrhea, or swelling on the lips or face, call 911 right away and talk to your doctor later. In the case of mild symptoms like a rash or hives, stop feeding the bananas (or other item) to your baby and talk to his doctor. Keep in mind that some types of allergies will disappear over time. Milk and egg allergies in particularly typically disappear with age. Recent recommendations also show that introducing potential allergens earlier can reduce the risk of developing them, but this should always be done with care.